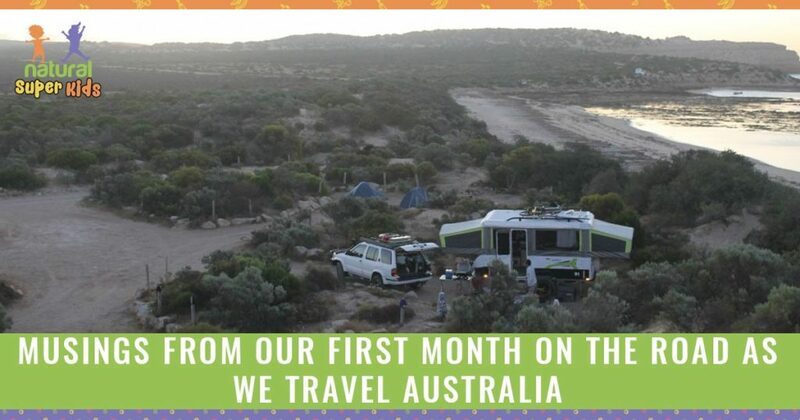 I Thought I would share some random musings from our first month on the road as I travel Australia for a year with my hubby, 2 kids and our Jayco camper. Travelling makes me feel like I am home again! There is something (a LOT of things) I LOVE about the travelling life. Exploring new places, meeting new people, spending quality time with my family every day – what’s not to love! I think I must have been a gypsy in a previous life! Does everyone have sunscreen on? I don’t want to go to the beach aga AAAA ain! Watching young campers next to us get up, brush their teeth and head out for the day while we take 3 hours to get ready to go to the beach is frustrating but I see it with other families too. A knowing look from another parent is always reassuring! Mr 8 has awesome social skills, I am in awe of his ability to join the pack of kids running around the camp, if there are other kids around he is happy. Miss 5 has a much harder time meeting new people. I am the weird woman following a group of kids around while Miss 5 gains the confidence to talk to them. This usually ends in her coming back to our camper in tears with me after I draw the line at climbing up a tree after them! UPDATE! 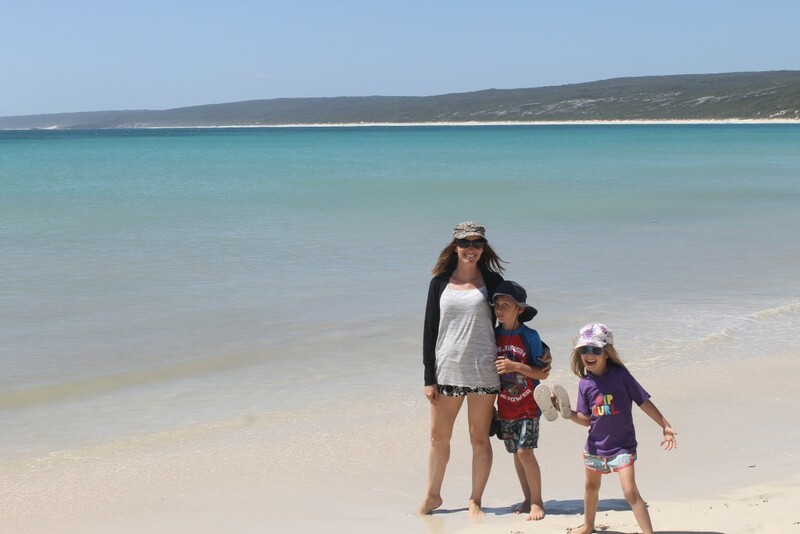 Miss 5 spent the last week venturing out on her own in a National Park with friends she met!! This is big news for us and it has been so beautiful to watch her confidence grow (with a few knocks along the way). I much prefer ‘Real camping’ than caravan park camping! 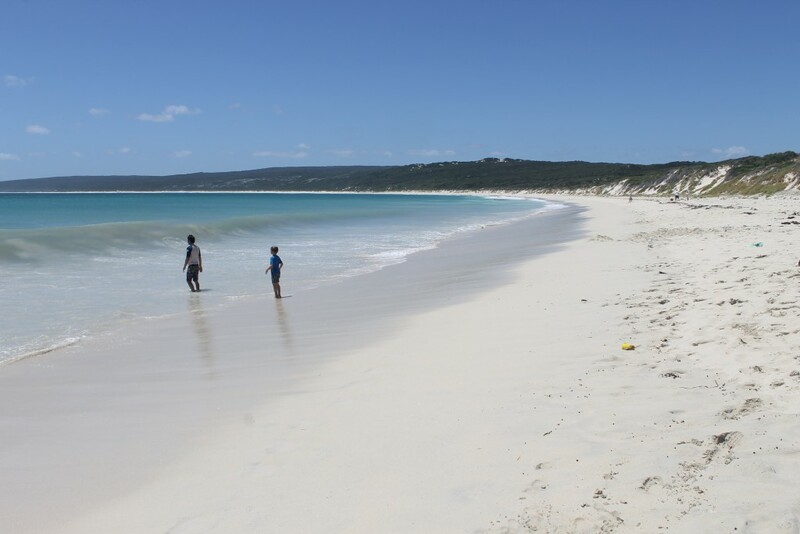 There are so many gorgeous National parks and free camp and low-cost camping options in Australia. The Camps 8 book and Wiki camps app are great resources for finding these camp places! Never underestimate the connections you have. About 15 years ago when hubby and I were living in London we went on a trip to Egypt and met a couple from Western Australia. We kept in touch on facebook and had our first child a few months apart. I sent them a message when we were planning our trip around Australia asking where they were based now. It just so happened that her mum and dad were going away for Christmas and had a property in Esperance that we could house-sit if we wanted to! Ummmm YES please! So this generous couple who we had never even met let us stay in their gorgeous home complete with horses, a pony, a donkey and a few dogs for a couple of weeks! It was an amazing experience, the kids loved it and we got to beat the camping crowds over the festive season. Our family dynamic is challenging at times and downright embarrassing at others. Camping next to others means that your families dirty laundry is out for everyone to hear. Sorry to the German guys who were camped next to us when Miss 5 had a meltdown, Hubby had a meltdown, I had a meltdown and Mr 8 had a meltdown! It wasn’t pretty! I feel like I can breathe again. Stepping away from our everyday life has made me realise how ridiculously fast paced it had become. There was always somewhere to be and something to do. I am still getting used to the foreign feeling of having nothing to do and nowhere to go except the beach! I haven’t been spending nearly enough time laying around with nothing to do but cuddle and be silly with my kids. There is so much to gain in just being together as a family. Showers are over-rated. If you can swim in the ocean most days, splash your face and brush your teeth life is good! There is so much to see and experience in Australia, a year is not going to be long enough to see it all (or even half of it!) Maybe a year will turn into 2?! I have fallen in love with Western Australia (How have I never been here before!) Gorgeous beaches, Stunning scenery and perfect Summer weather have made this beautiful state the perfect start to our big adventure! If you are even thinking of a trip like this (or any travel adventure with your kids) – GO FOR IT!! We will never get these years back and you are much more likely to regret what your didn’t do that what you did do! What an amazing adventure you are all having. Your blog made me laugh and even put a tear in my eye. Thanks for sharing and keep enjoying every moment like I know you will. 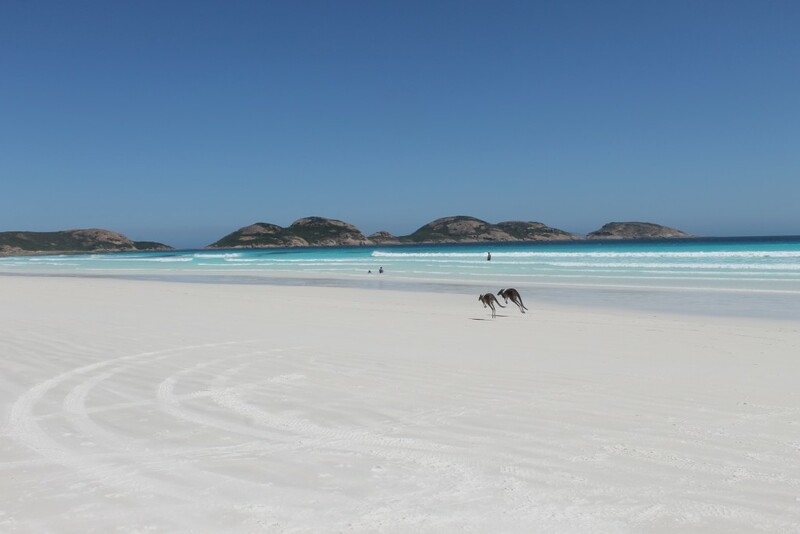 Oh man….seeing kangaroos hopping along white sand beaches, wow! We have a dream to travel for at least a year for our 40th’s with our son. This is such an inspiration and I need to start planning! Camping around Oz would be incredible. Enjoy! And love this quote: Showers are over-rated. If you can swim in the ocean most days, splash your face and brush your teeth life is good! Our family is off on our adventure around Australia in a few years time. Love that you share the good and the struggles….. I totally get you. Hubby and I have taken our 4 mth old camping once and it’s great but different to pre baby days. 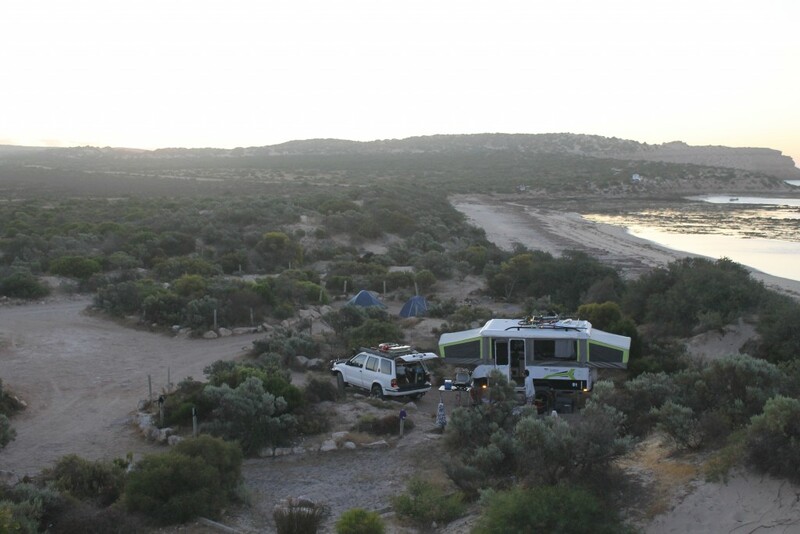 By the way which Jayco camper model are you in and how do you find it? We are looking at them for our trip.